The term big data defines the large volume of data and complex set of data which are difficult to process. Every day the stock exchanges like NYSE and BSE generates Terabytes of data and social media sites such as Facebook produces data are 500 times bigger than stock exchanges approx. 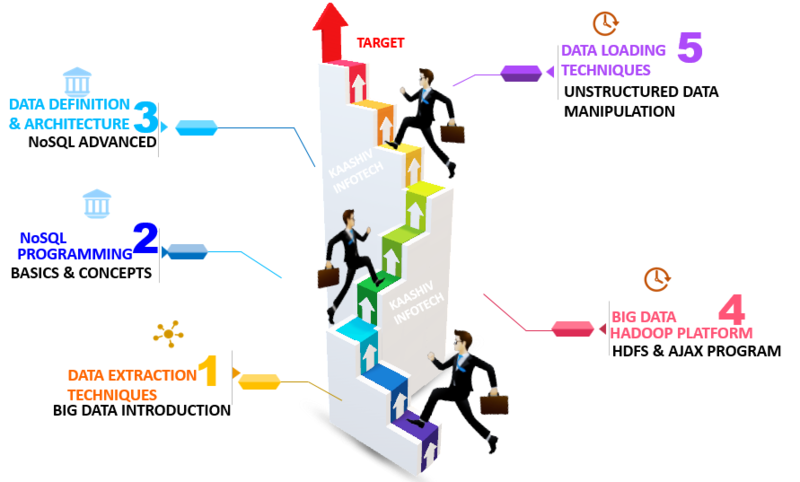 Why KaaShiv InfoTech Company to learn Big Data Training in Chennai? Kaashiv provides Best Big Data Training in Chennai with professional trainers who provide real-time training and also projects to the candidates for better understanding. Why Students Enroll for real time Big Data Training in Chennai ? In recent survey confirmed that 64% of companies invested in Big Data in 2013. In recent years, the Big Data industry had a significant growth and recent research estimated that Big Data market is more than $50 billion industry. Our Big Data training in Chennai provides you a real-time session and turns students as experts in their field. Big data helps to analyse the data using JSON, Hadoop concepts, etc. Learn and Implement 120 Concepts Covering Big data Basics to Advanced. For Big Data Training 120 concepts from Basic to Advanced will be covered.